Pikey Peak Trekking is best known for the hilltop point for viewing the panoramas along with the world’s highest peak Mt Everest. It is situated in Ramechap district of Nepal with an elevation of 4067m. Pikey Peak Trekking is the newly trekking package of Everest region with less crowd. Pikey Peak Trek has a lot to offer to its visitors. Firstly, it offers the best view of the Himalayas including Mt Everest and provides the experience of Sherpa culture. With the culture and panoramas, the view of Kanchenjunga and Makalu will be an advantage to the travelers. While, following the off the beaten Trail of Pikey Peak, the trail passes through legendary Sherpa village and monasteries. 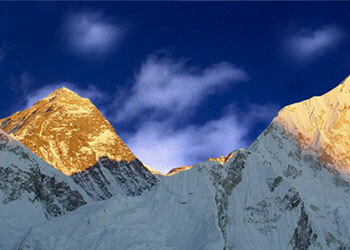 It is also the best sunrise and sunset viewpoint of Everest and many other mountain ranges. The view of the deep green valley from the top of Pikey peak is amazing. The trek starts with the drive to Phaplu from Kathmandu which takes 8-9 hours. heading from Phaplu we will make our way to Dhap, Jhapre Village, Pikey Base Camp, Loding, Junbesi, and Taksindu. On our way to the trek Thubtenchoeling Monastery, and Chiwong Monastery will be the great experience. With the Traditional Sherpa culture and their overwhelming welcome, the trek provides the view of many mountain ranges along with the deep forests of Rhododendron throughout the trail. The attracting element will be the pleasant Sherpa’s, whose hearts are kind. You will consider it for an entire life. Passing through the lush valleys and rhododendron forests is distinct itself and the sunrise and sunset from the top of Pikey peak is another distinct experience of this trek. To provide you a check out the coronary heart of the villages of Sherpa humans, their historical way of life and dazzling views of maximum mountains in the world, we provide you an outstanding 10 days Pikey Peak Trekking. Get your luggage packed in your lovely adventure to Nepal with your essential equipment for the panoramic view of the tallest mountain on the earth and other peaks. After coming back, you may get enough time to go to the store, discover and loosen up in Kathmandu. Best Travel Time: February to Mid June, September – Mid December are the best seasons. Dec & January are Winter and cold can be snow on the trail, July & August are rainy time, trekking can be done but visibility can be poor due to rain. Your trek Backpack/duffle bag: Your baggage on the trek will be carried by our porters, the maximum weight per trekkers is 15kg including hand carry If you have any items not required on trek can be stored in our office or your hotel in Kathmandu. The very next morning, after breakfast you will be taken for a full day sightseeing tour around Kathmandu valley. You can visit the center of pilgrimage Pashupatinath Temple and Swyambhunath, very ancient and essentially enlisted in UNESCO World Heritage sites. The biggest Buddhist Stupa at Boudhanath might make you feel calm and peace and visit Patan the city of fine arts and Durbar Square is full of Hindu temples and Buddhist monuments. On the journey back to the hotel, you can explore the local areas, gullies, and lifestyle. After your dinner, you can perhaps take a leisurely stroll through the famous streets like Thamel and Durbarmarg. After having our breakfast we will be driving to Dhap from Kathmandu which takes 8-9 hours in reaching Dhap. From Dhap we will start our trek and reach Sigane. Following the trail from Sigane for some hours through the under constructed road we will then reach to Japre Village (2920m/9580ft). The village provides you with the view of Everest and Numbur Himal. We will be staying there overnight. Early in the morning, after breakfast, we will climb up to Bhulbhule where there is a single lodge that provides a great view of Everest ranges. After some hours of walk, we will follow the Trail of Pikey Peak splitting our trail from Bhulbhule. Then the trail continues to the hillside below Taklung Danda through the forest of rhododendron. Walking for about 2 hours we will reach our destination. We will rest and spend our night there waiting for the morning to climb the Summit of Pikey for Sunrise view. In the morning, we will follow the trail to the summit with the breathtaking view and prayer flags on the way. You will be amazed will the view from Annapurna to Kanchenjunga if the weather is in your favor. After enjoying our time in Pikey Peak, we will start our trek to Jase Bhanjyang continuing our trek with some rest in Jase Bhanjyang we will walk down to lading. We will be staying there overnight. After breakfast, we will descend to Junbesi. We will be heading to Junbesi taking the trail of old growth forest to Taktor which is short and meets the Everest Base Camp Trail from Jiri. From Taktor, we will walk for some hours and reach Junbesiwhich is the traditional village of Sherpas. We will be watching the Buddhist monasteries along with the Sherpa culture and architecture spending the rest of our day there. Early in the morning, we will prepare ourself for the trek. Having our breakfast, we will head towards Salung crossing the river and climbing the forest with the view of Mt Everest, Chamlung and Makalu. Continuing, we will reach to Ringmo. Ringmo is famous for Apple. After, we will make our way towards and reach Taksindu La where we will spend the rest of the day. Today we will Trek back to Phaplu visiting Chiwong Monastery. The monastery is popular for celebrations of the Mani Rimdu festival in autumn. We will then get back to Phaplu and rest for the day. From Phaplu early in the morning we will head back to Kathmandu with a drive for about 8-9 hours. Local ground transportation from Kathmandu to to trek start point and trek finish point to Kathmandu.